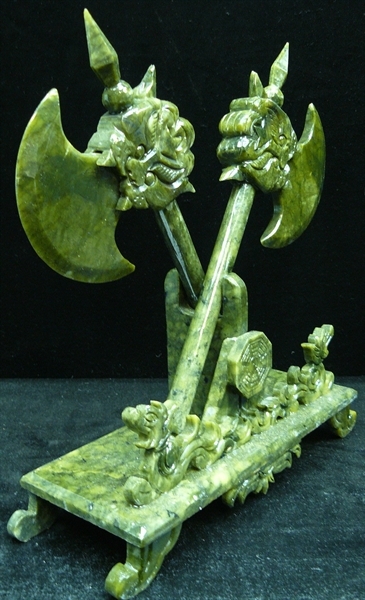 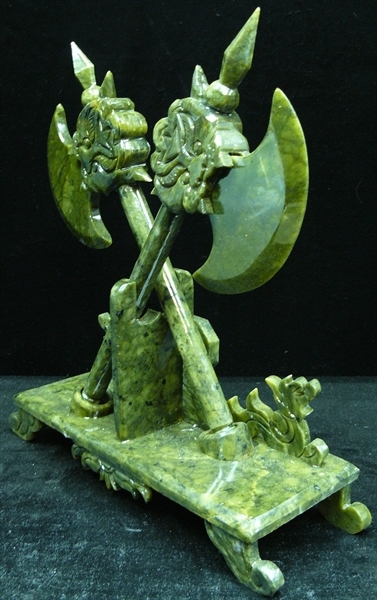 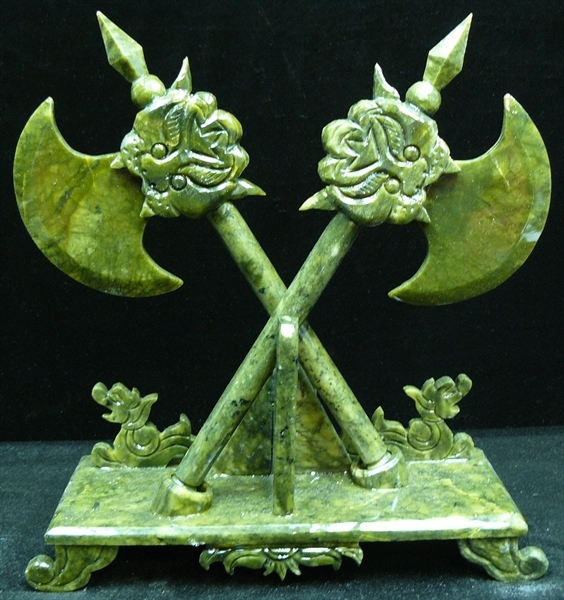 This pair of jade axs are all hand carved from natural Taiwan Jade. 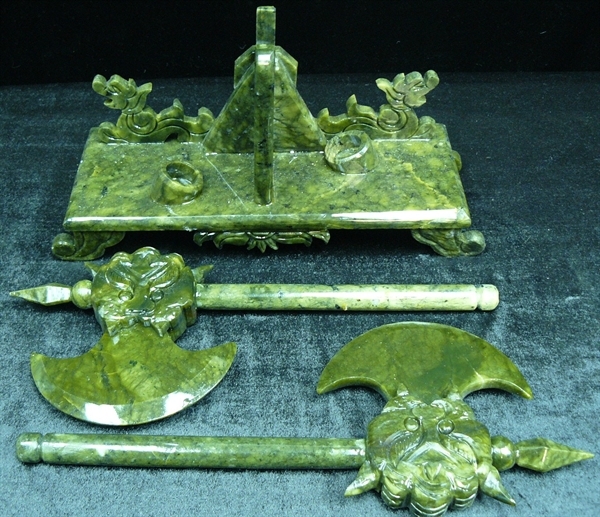 It is dark green, comes with a base also made of jade. 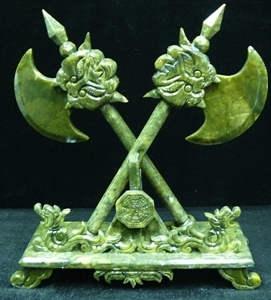 2 dragons are in the front of the base.